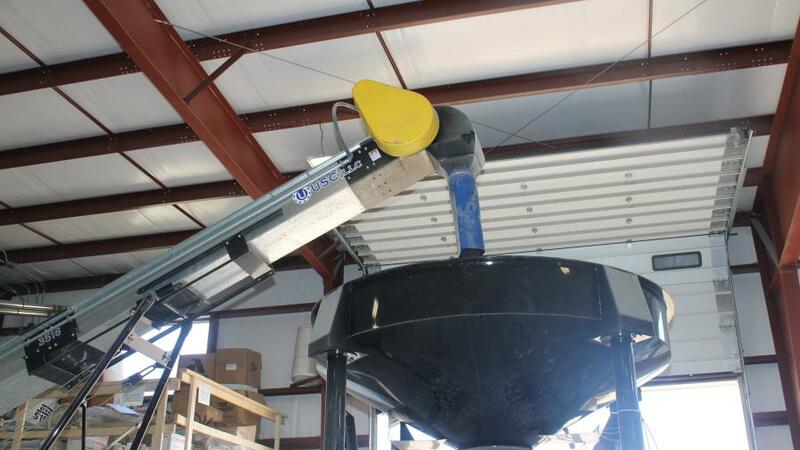 Seed being treated by ag retailers for grower-customers. 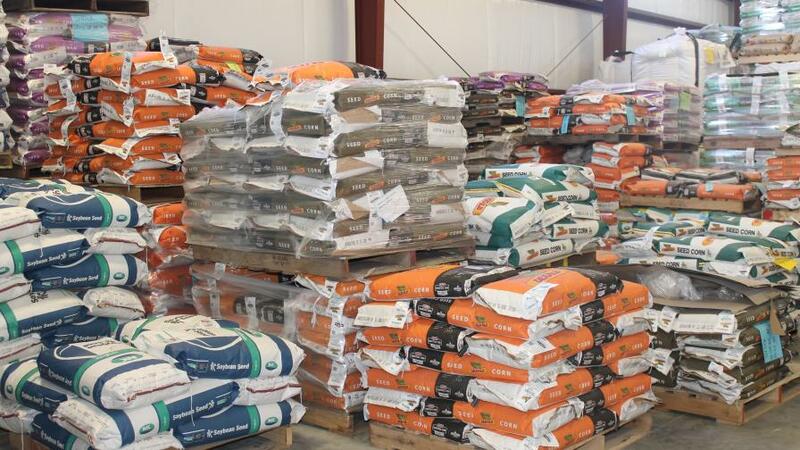 Bags of seed in the warehouse at an ag retail location. 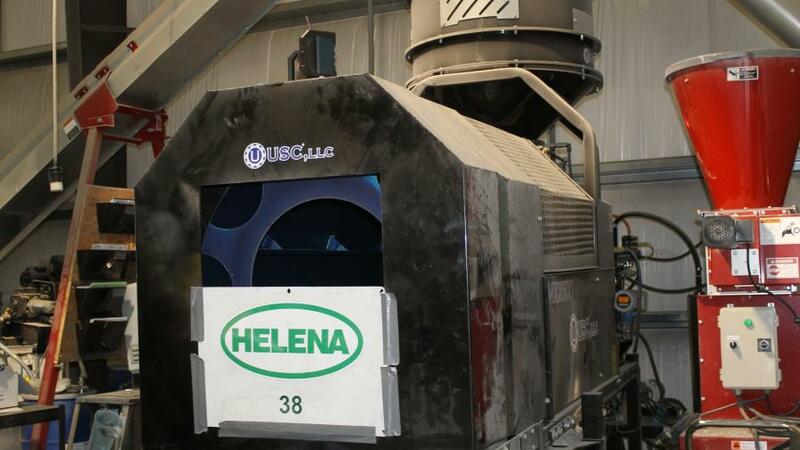 The seed treater at Helena Dillsboro, IN.